London: Marin Cilic insists he is primed to make a strong run for the Wimbledon title despite the frustration of his Queen's Club final defeat against Feliciano Lopez. 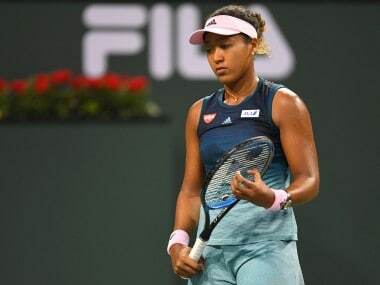 Cilic was denied a second Queen's crown in agonising fashion on Sunday as the World No 7 failed to convert a match point in the final set tie-break before losing 4-6, 7-6 (7/2), 7-6 (10/8). 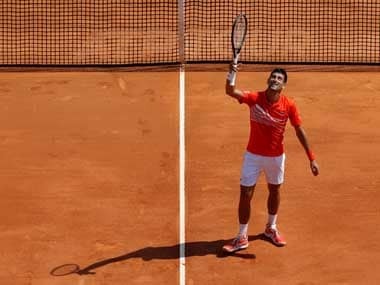 Lifting the trophy at the Wimbledon warm-up event would have been perfect preparation for the Croatian ahead of the grass-court Grand Slam, which starts on 3 July. But Cilic is confident the dominant form he showed for the rest of the tournament will stand him in good stead at Wimbledon, where the former US Open champion has lost in the quarter-finals three years in a row. "I'm playing really well. Definitely I'm going to get to Wimbledon with good determination, good confidence," Cilic said. "I've worked a lot to get to this level. I'm looking forward to the tournament. Definitely hoping that I can go further than the last three years. "I played a lot of matches on grass. Played high-quality tennis. It's also a matter of executing things well on the court. That's where my focus is going to be." With Wimbledon champion Andy Murray crashing out of Queen's in the first round, a result that continued his disappointing 2017, and Novak Djokovic in equally poor form, Cilic acknowledged there is good opportunity for someone outside the big four to take the trophy. 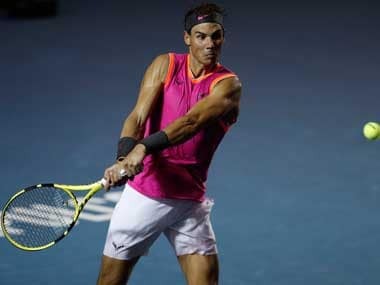 Roger Federer will arrive as tournament favourite after maintaining his superb run by winning the Halle title on Sunday, but French Open champion Rafael Nadal hasn't thrived at Wimbledon for several years. "All the other guys at the top didn't perform too well, and definitely that opens up a gap," Cilic said. "Roger didn't play much, so it's tough to know his form. You know, just looking at the results he has on grass, it's obvious that you have to put him up there. "To say that he's No 1 favourite, it could be true but also could not be. "Definitely he's going to be playing really well, and he's feeling at home in Wimbledon." Regardless of the form of his rivals, Cilic can be confident of making some waves at Wimbledon if he serves with the accuracy and power he showed at Queen's. 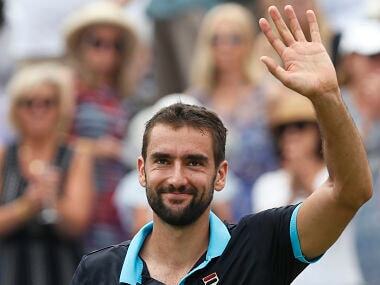 Even Lopez couldn't break him and Cilic said: "Looking at the whole week, it was great tennis for me. "I have to say maybe one of the best grass-court tournaments for me overall throughout my career, looking at the consistency of the game. "I lost my serve only once during the whole week, which is amazing." Lopez, ranked 32nd, has now reached back to back grass-court finals after following his defeat in Stuttgart and a victory in west London. 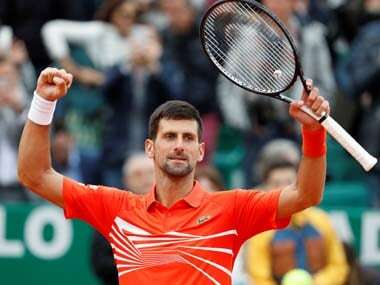 In addition to Cilic, the 35-year-old beat Stan Wawrinka, Tomas Berdych and Grigor Dimitrov en route to becoming the oldest Queen's champion in the Open era. He has never gone further than the Wimbledon quarter-finals and would love to improve on that this year. "I think beating four top 10 players in the same week is pretty amazing," Lopez said. "It is true that I'm going into Wimbledon with a lot of confidence. "But next week, the draw has to be done and then I hope I can still play in the same way."